Topup and Pay your Internet & Tv services on-the-go with expressPay! Paying for airtime or data has never been simpler. Skip the queues and avoid the traffic. 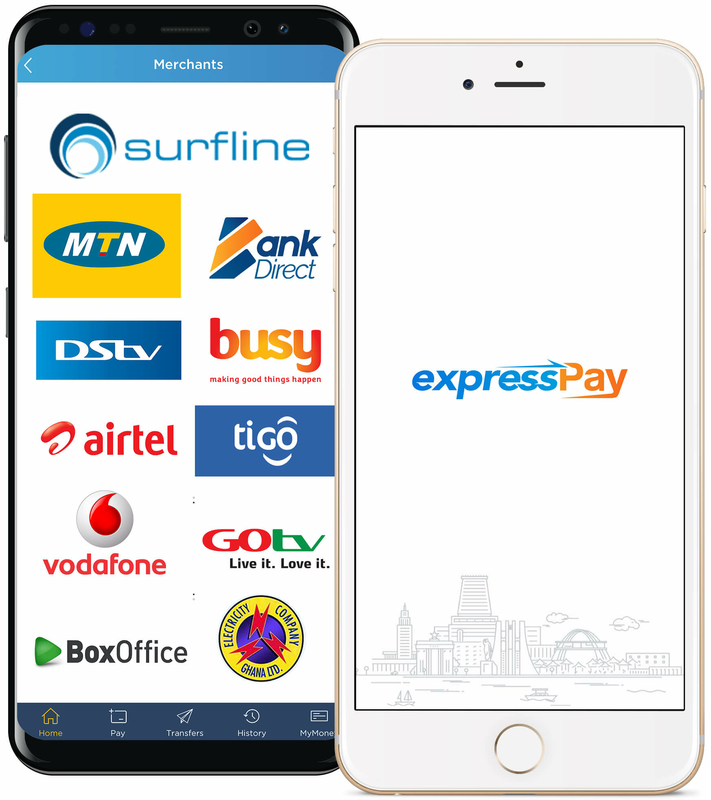 Simply use the expressPay app and pay for the services you want from the comfort of your home or office. Topup your Surfline, MTN, Tigo, Vodafone, Airtel account in seconds. Pay your DStv, GOtv and BoxOffice from your couch. Additional services coming soon!